Interesting Facts This pattern is unofficially known as “Aztec” or “Navajo” because of its southwestern style lid design. 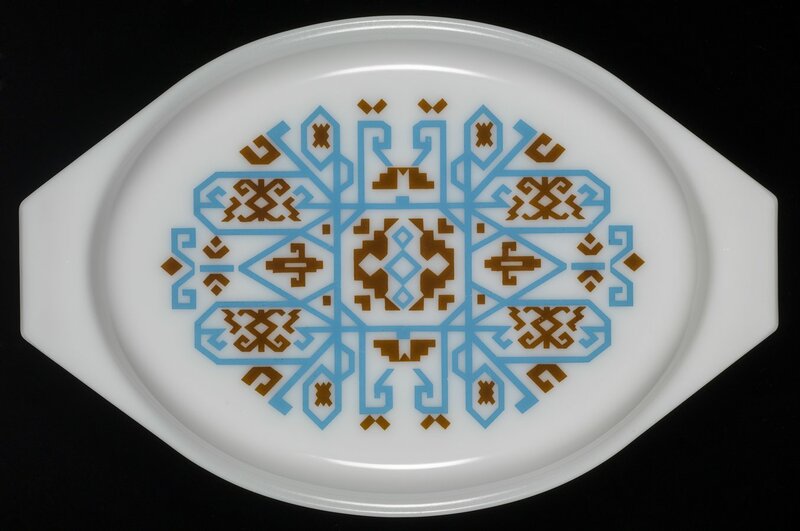 The 2 ½ quart “Oval Casserole with Serving Basket” was released in 1971 with southwestern style print on the opalware lid (045). Unofficially known as “Aztec” or “Navajo” this promotional pattern was only available for one year. The casserole is a light brown color with a light blue and light brown southwestern pattern on the lid.